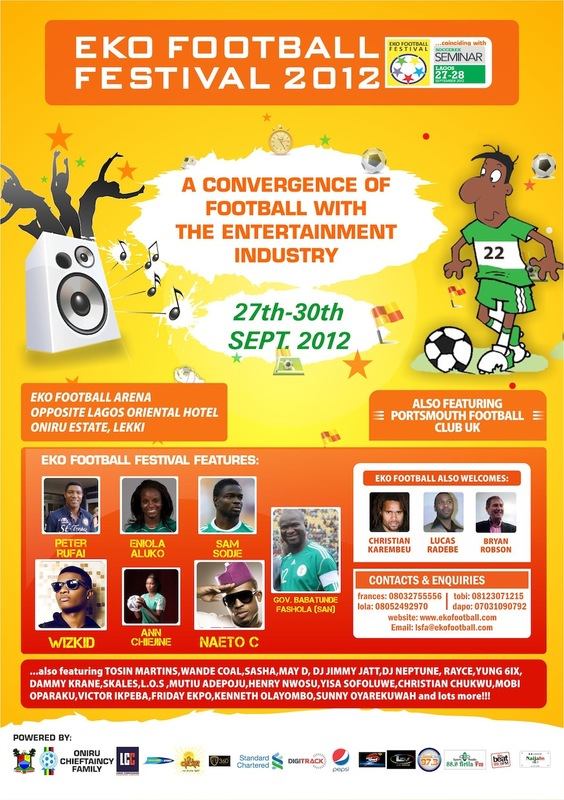 Eko Festival 2012/Soccerex Seminar Lagos – Sept 27-30th. Nigeria A-Z Online > A-Z > Events > Seminars & Workshops > Eko Festival 2012/Soccerex Seminar Lagos – Sept 27-30th. The Eko Football Festival 2012 and the Soccerex Seminar Lagos, the first international football business event in Nigeria holds from, 27th-30th September 2012 at the Lagos Oriental Hotel, Ikoyi. A four day B2C event which will take place at a 5-A side Football Arena with provision for a performance stage to be set up close to the Oriental hotel in Lagos. Day One will feature an opening ceremony showcasing a display of Lagos cultural heritage, coaching clinics with celebrity footballers, age group youth football competitions with music, dancing and other attractions in between matches. Highlight of the Day will be a World Stars team to include popular retired football stars Vs Eko Football celebrity team to be led by the Governor of Lagos state. The closing ceremony will feature a headline concert featuring top local stars including Eko Football ambassadors Whiz Kid and Naeto C. Super Sport and other local media to provide media broadcast at the Arena to seminar venue and Nigerian TV audience. 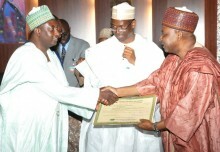 The first international football business event in Nigeria, 27-28 September 2012, Lagos Oriental Hotel. Soccerex’s commitment to promoting the growth of football business worldwide reaches new regions in 2012 with their inaugural event in West Africa, the Soccerex Seminar Lagos, 27-28 September. In partnership with Lagos State Football Association, the Soccerex Seminar Lagos will provide a commercial platform for 750 key global industry stakeholders to network, foster new business links and share knowledge in one of football’s most lucrative emerging markets.